The external lines are captivating and innovative. 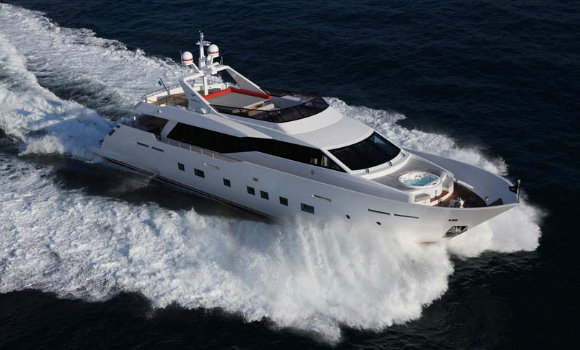 The hull is white with red-blue-grey stripe on the waterline and stylish metal grids in the aft. 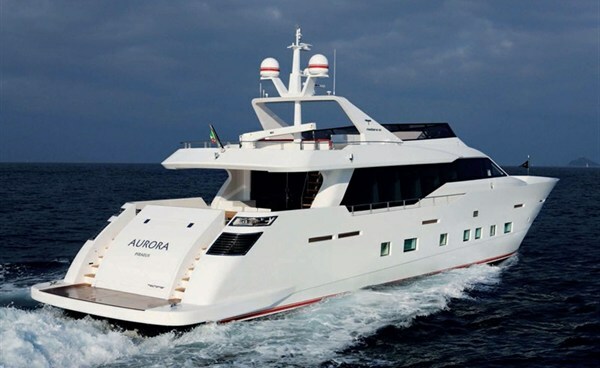 The lowered bulwark and the extra-large windows allow maximum natural light in the main deck and all Guests’ cabins. Extraordinary interior space for its category. “Aurora”, the revamped model in the Nadara range, is a real comfort revolution. The yacht outdoor areas are surprisingly spacious for relaxing and conviviality. In the bow there is a Jacuzzi surrounded by sunbathing cushions and bench. In the cockpit there is a large table for 10 people which drops down to convert to a wide sunbathing area. In all outdoor areas blue Leds light up the walkways creating a charming atmosphere.